HARSHIM, SOMALI, 19 January 2017 – “For three months, the borehole was not functional and people suffered a lot. There was little rain, so most of the birkas became empty. 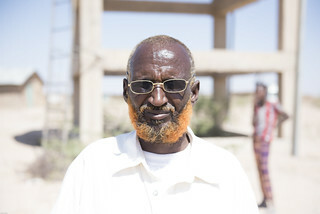 Additionally, water from birkas is usually contaminated so we suffered from diarrhoea,” Muse Hassan Ali, 45-years-old recalls the time that he and his neighbours did not have access to safe and sustainable water in his town. Birkas are underground water storage systems intended to collect rain water during the rainy season and store for use during the dry season. Birkas can also be used to store water transported by trucks during emergencies. According to the Harshim woreda (district) administrator, Sied Abraham, this borehole in Harshim town is the only sustainable water source that survived the 2015 El-Niño drought. It was drilled by the Somali Regional Water Bureau (RWB) following a UNICEF groundwater mapping in 2009 to identify potential drilling sites. The depth of the borehole is 535 meters, one of the deepest in the Somali region. After this borehole became non-functional due to electromechanical failure last year, UNICEF, with generous financial contribution from European Commission’s humanitarian aid department (ECHO), supported the RWB to rehabilitate the borehole by replacing a submersible pump, generator and an electric cable. 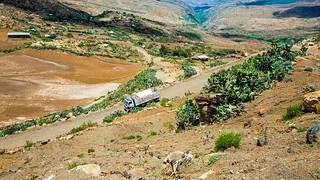 An immediate rehabilitation of the only sustainable water source in the woreda was crucial not only for Harshim town, but a large part of the region. 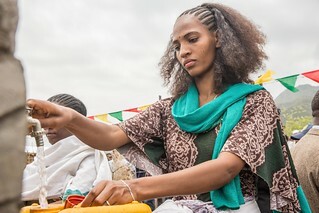 It typically benefits over 9,000 people in Harshim and neighbouring woredas as well as people who cross the border from Somalia. At the end of 2016, it also served people in far-reaching woredas when drought conditions worsened once again due to the negative Indian Ocean Dipole (IOD). The RWB and partners began providing emergency water trucking, using this borehole as their source. Thus, its well-functioning affects a high number of direct and indirect beneficiaries across the region. 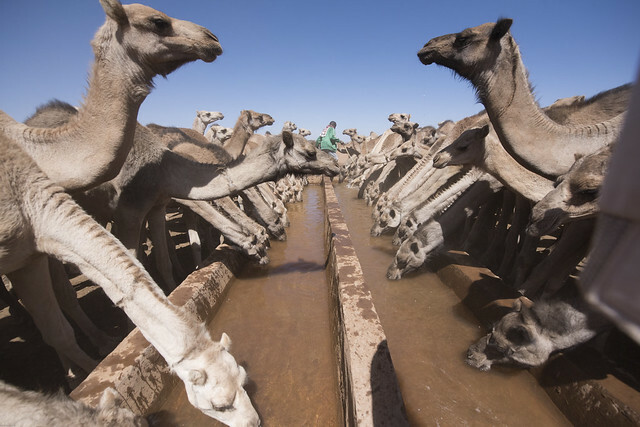 In addition to people collecting water near the borehole, the on-site trough draws in many pastoralists and their livestock. It takes more than a day for Farah Aden, 60 years old, to walk to the Harshim borehole with his 10 camels. “We are grateful for this borehole. Water is always a great cost for livestock. The functionality of this borehole has impacted our life a lot.” Indeed, during drought periods such as this one, entire herds may be wiped out, as evidenced by dozens of dead carcasses along the roads across the region. UNICEF and partners will continue efforts to support the Government of Ethiopia to increase water coverage and functional water schemes in the Somali region to save the lives of children, their families and their livestock and contribute to a better future for all. UNICEF’s implementing partner, Hydro, began drilling a borehole in November 2016 at a location 1.5 km outside the Bisle community, which has a population of 11,000 people. This crucial drilling work is made possible by the DFID emergency fund. While it is difficult to find water by drilling in lowland areas due to the nature of the hydrogeological complexity in the Somali region, water was found at a depth of 210 meters and the drilling was completed at depth of 299 meters. According to a pump test, the borehole is providing more than 30 litres per second. The post-drilling construction is planned to be completed by March 2017. This news has brought hope for a better future to the Bisle community. Through the generous contribution of donors, UNICEF will continue to support regional water bureaus across the Somali region to implement similar sustainable interventions that will support children and their families. WOIRU DIKALA, Amhara region, 7 August 2016 – The women of Woiru Dikala kebele (sub-district) used to spend much of their day searching for water, a mission that grew even more difficult as drought ravaged Ethiopia’s Amhara Region over the past year. Women and children often walked for more than six hours to get the water their community needed, searching for scarce rivers and ponds among the dry, rugged gorges of Raya Kobo woreda (district). This area, near the borders of Tigray and Afar regions, is full of migrants from these parts of the country also searching for water for their family and herds and fleeing the recurrent droughts. So it was with great rejoicing that the people of Woiru Dikala welcomed a joint UNICEF and DFID project introducing a multi-village water supply system drawn from a deep well with a total of eight water points around the village – including one for the primary school. The new water system will help 5,000 people over the next 20 years, including the 2,100 living in Woiru Dikala kebele. 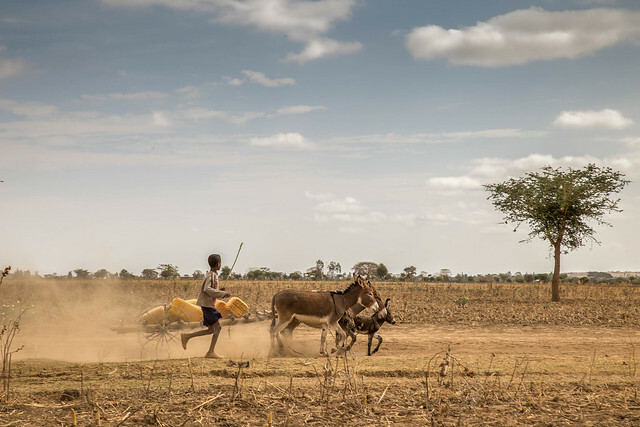 The El Niño-driven drought has hit much of the country over the past year, but eastern Amhara has been especially hard hit, with over 1.5 million people suffering from a critical shortage of water. The shortage also has severe health implications. The kebele has seen an outbreak of the itching menace of scabies because the lack of water means poor sanitation and personal hygiene. The condition breeds in cramped, dirty conditions and can move quickly through a population causing a great deal of distress among children, who make up half the population of the kebele. Poor water quality also led to an outbreak of Acute Watery Diarrhoea, which can be fatal for the young and infirm. Regular access to clean water is key to combatting these diseases. There is no health facility in the kebele. The inauguration of the new water supply for the area was attended by several regional officials as well as representatives of UNICEF. “This water supply system provided from a deep well should support local resilience in times of climatic uncertainty,” said Jane Bevan, UNICEF’s manager for rural Water, Sanitation and Hygiene. Two months ago, I asked five friends of mine two critical questions; one where does the water that flows out of your tap come from and second where does the waste that is flushed down your toilet go to? Answers like, from a river or “my toilet waste is flushed down a sewer pipe…where it goes, I don’t know?” These answers are symptomatic of many educated peoples understanding. Last month, I asked five inhabitants of the northern Ethiopian town of Wukro the same question. All five respondents gave me an articulate description of borehole water as well as the exact location of all the septic tanks. Water and Sanitation are a daily priority for most of the world and the Sustainable Development Goal (SDG) number 6 has been designed to ensure that everyone, everywhere has access to water and sanitation by 2030. In Ethiopia, UNICEF was ahead of the SDG curve and in 2013 developed a programme called the ONEWASH which was designed to pull all financial resources from the government, aid agencies, development banks and the UN around ONEPLAN. 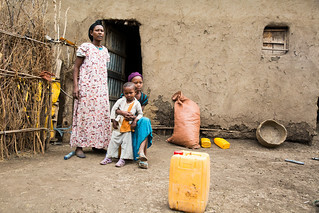 To develop the ONEWASH programme, UNICEF Ethiopia was delegated by the Government of Ethiopia to design the strategy for a 10 year plan to ensure that the 50 million people gain access to water and 70 million people gain access to sanitation in every house in every town, city and village across Ethiopia. The ONEWASH is the biggest water and sanitation initiative in Africa and requires an estimated investment of US$2.4 billion. See http://www.unicef.org/ethiopia/OWNP_LEAFLET.pdf. The ONEWASH programme has: ONE plan, ONE Budget, ONE Procurement system, ONE monitoring system and ONE report. Led by the ONEWASH Coordination office in the Government of Ethiopia Ministry of Water, Irrigation and Electricity and with financial and technical collaboration with the Ministry of Finance, Education and Health, the ONEWASH was a “showcase” at the 2016 Sanitation and Water for All High Level Meeting. 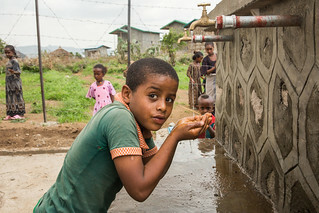 UNICEF Ethiopia also teamed up with the key financiers in the WASH sector in Ethiopia such as the World Bank, African Development Bank, DFID, Government of Finland and others to set up a Sector Wide Approach (SWAp) pool fund called the Consolidated WASH Account where funds are blended together. To ensure all UNICEFs financial rule and regulations were respected, UNICEF Ethiopia developed a Fiduciary Risk Assessment tool. This is now been worked into a Programme Operational Manual and is used to guide the sector investments. The SDGs present an opportunity and challenge for UNICEF Ethiopia. If ONEWASH is successful it will improve sanitation and hygiene facilities in hospitals, schools and health centres and will provide essential water supply for areas affected by climate change and drought. It will ultimately result in reducing undernutrition in children and improving the cognitive performance of school goers. When the drought came to the remote kebele (sub-district) of Gonka, Ababa Abraha’s family held out as long as they could, in their picturesque village set among the sharp mountain peaks and deep valleys of the Tigray Region. With no crops and food, however, they finally had to leave to find temporary work in nearby towns and pulled 14-year-old Ababa out of Grade 7 to work as a house cleaner. Then came word that there was water being supplied and a Government feeding programme at the Gonka Complete Primary School, a rough stone building in the village, and Ababa was allowed to return. Gonka Kebele, which is near the arid Afar Region, was hard hit by the drought affecting much of the country. With its two wells failing, it received a 10,000 litre-capacity water bladder that is refilled every other day by a truck that makes an arduous journey over the treacherous gravel road. The current drought has rendered some 5.8 million people nationwide in need of access to safe water. 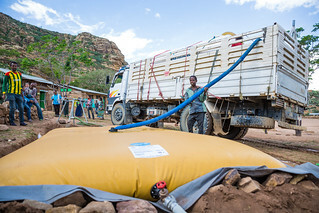 As long term solutions to water scarcity are developed, the Government of Ethiopia, supported by UNICEF, has started trucking in water to the most severely drought-affected communities. UNICEF’s 100 trucks are operating in the Afar, Amhara, Oromia, Somali, SNNP and Tigray regions and have already delivered 15 million litres of water to 300,000 people in the last month. “It is the first of its kind, UNICEF providing full water services to beneficiaries,” said Getachew Asmare, the UNICEF Water and Sanitation Specialist in Tigray, where 110,000 people including school children have benefited from 4.6 million litres of water in one month. In some communities, people are surviving on just 5 litres of water a day, a quarter of the Government-recommended 15 litres a day and a far cry from the 100 litres a day consumed by the average citizen of a developed country,” said Getachew. The case of Gonka Kebele shows how water scarcity doesn’t just affect hygiene and crops but also education. 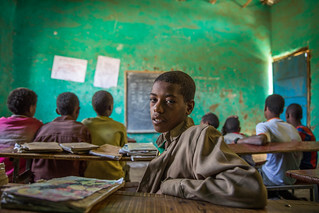 Haftu Gebreziher, the 26-year-old director of the Gonka Complete Primary School described how he was losing students by the day before the start of UNICEF-supported water trucking and Government feeding programme. Some were spending the day walking for hours fetching water at the distant river, others couldn’t pay attention in class. The large yellow water bladder donated by the Government of Ireland sits right outside the school, next to the hut where the children’s midday meal is prepared. The students swarm around the water taps connected to the bladder and drink whenever they want instead of taking a long trek by foot or camel to a river in the distant valley. The €110,000 (ETB 2.6 million) worth of donated water containers marks the latest support from Ireland, which so far has given Ethiopia €9.1 million to combat the drought. The water tanks and jerry cans will be used by UNICEF in the worst affected woredas (districts) nation-wide. 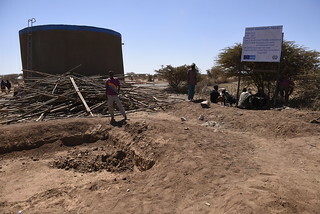 As the WASH cluster lead, UNICEF also supports the Government of Ethiopia and other partners in the rehabilitation, maintenance and construction of new water supply systems, provision of water purification and treatment chemicals, and provision of sanitation and hygiene facilities in schools. UNICEF is also exploring innovative ways to use satellites to detect deep groundwater for large scale, multiple-village water supply systems. These efforts are helping ensure that students affected by the drought don’t have to forfeit their education. For 14-year-old Silas Hagos at Gonka Complete Primary School, this means that she can once again work towards her dream to become a pilot for the national carrier Ethiopian Airlines. When the drought came, she had to leave the eight grade to work. She sold soap and packaged biscuits in nearby town for weeks until the feeding programme and the new water bladder allowed her to return and once again dream of flying. “If we get the opportunity to learn, it is good – an educated person is better than an uneducated one,” she said with a smile. For the community in Lode Lemofo Kebele, Sire Woreda in the Arsi Zone of the Great Rift Valley of Ethiopia, access to water was an ongoing problem. During the annual dry seasons in this hot, low-land area, community members had to walk for hours under a blazing sun just to get water. 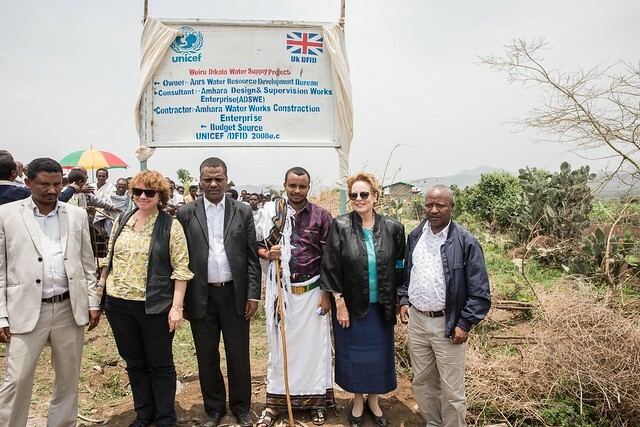 In January 2016, the communities of Lode Lemofo and neighbouring Chenge Kebeles have seen a marked improvement in their day-to-day lives, thanks to a water supply project that was commissioned and constructed with UNICEF support. 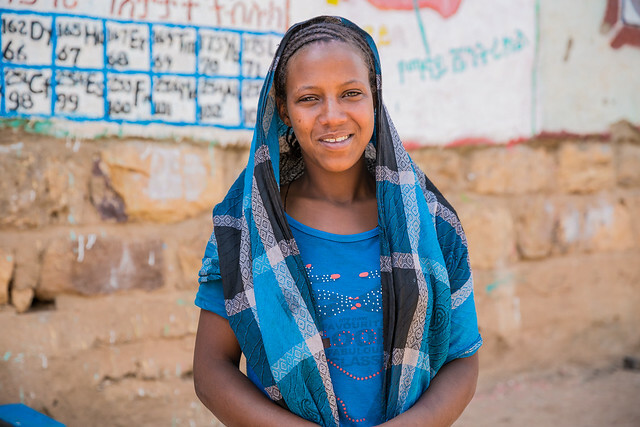 About 6,500 people in two Kebeles, particularly the 3,250 women and girls who are usually charged with collecting water for household use, are reaping the benefits of improved access to clean and safe water, including increased school attendance among children. The lack of access to water also affected health centres and schools. Communities had to support the provision of water in these facilities themselves. Visiting patients and members of neighbouring households carried water to health centres while school girls and boys carried water to school on a daily basis. All this has changed when the new water supply scheme became operational. The scheme draws its source from a 265-metre deep well and includes 16 kilometres of pipe network, 11 water distribution points and a 100,000-litre reservoir. One primary school and one health centre have also been connected to the water distribution system. Health centres can now provide better care to community members, particularly pregnant women, while boys and girls are better able to learn at school. 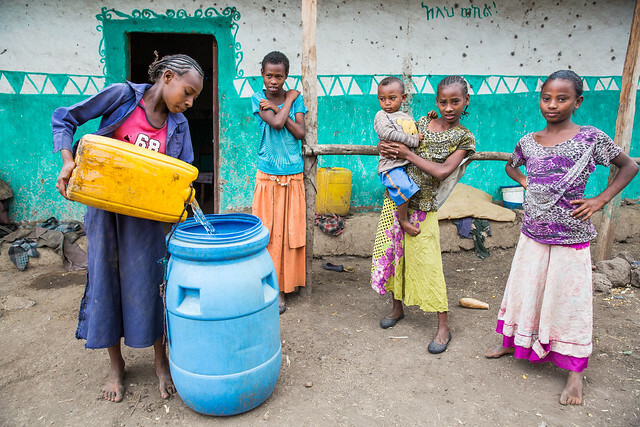 In total, 24 other Woredas in Oromia Regional State are benefitting from UNICEF’s water and sanitation programme. 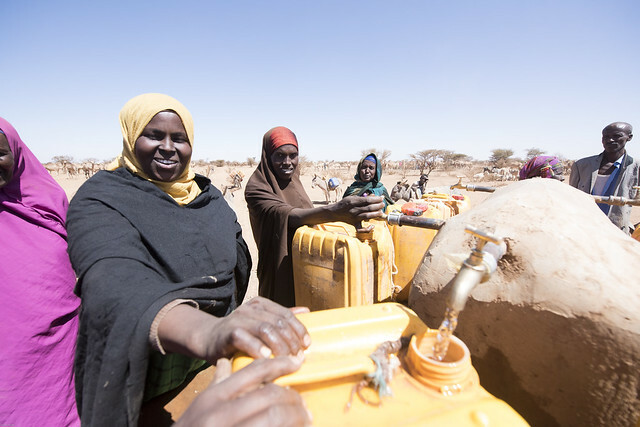 This is part of the overall progress in water and sanitation in Ethiopia, where 57 per cent of the population now relies on improved water supply sources such as water taps or hand pumps, rather than unprotected and risky sources such as rivers and streams. This increased access to clean and safe water has benefitted the children of Ethiopia tremendously, contributing to the reduction of under-five child mortality by two-thirds and the significant reduction of child stunting.